Even when the vehicles involved come away from a minor accident in good working order, the passengers inside may have sustained serious, life-altering injuries. Insurance companies often make the argument that minor, low speed “no damage” automobile accidents can’t result in serious injuries, but this is not necessarily true. During a collision, passengers are subject to a variety of conflicting forces, including abrupt acceleration, deceleration, and rotation. When driving an automobile, you use kinetic energy to move the vehicle forward; when you want to stop, you apply the brakes to get rid of that energy. However, when a motor vehicle crash causes your car to stop suddenly, the car and your body absorb the energy that would otherwise have been absorbed by the brakes. Because only so much can be absorbed, the force will likely cause injury to your car and, more important, to your body. While a severe impact may cause catastrophic injuries, depending on these factors, a minor accident can lead to major injuries rather quickly as well. 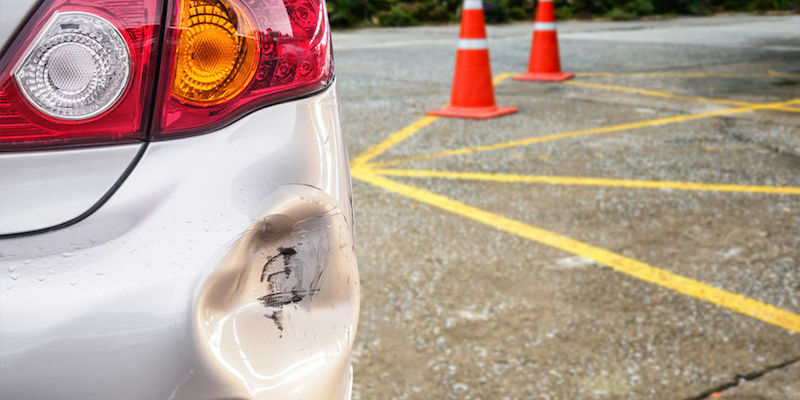 While a car made of steel may sustain little or no damage in a minor collision with another vehicle, the human beings involved are often not so lucky. This is why even if the vehicle survived an accident with nary a scratch, those involved in the accident should always get medical attention as soon as they can, even if they don’t think they suffered an injury. Many latent injuries can take days, weeks, or even months to manifest, and prompt treatment to diagnose them and prevent further damage is vital. If you sustained serious injuries in a seemingly minor accident, contact Colorado personal injury attorney Dan Rosen for a free consultation to discuss your options.